QUALITY CRAFTSMANSHIP BEYOND COMPARISON! A huge foyer welcomes you w/granite entry, high ceiling & impressive fixtures. Main floor w/lvgrm & dinrm w/hardwood flr, gas f/p, pucklights on ceiling & snake light thru-out in lvgrm. Gourmet kitchw/granite counter tops, maple cabinets & good size island w/ample storage & counter space and bonus spice kitch. Famrm w/lots of windows & high ceiling. Main floor also feat 1 bdrm w/full bath, library rm, extra 2 pc bath & laundry. 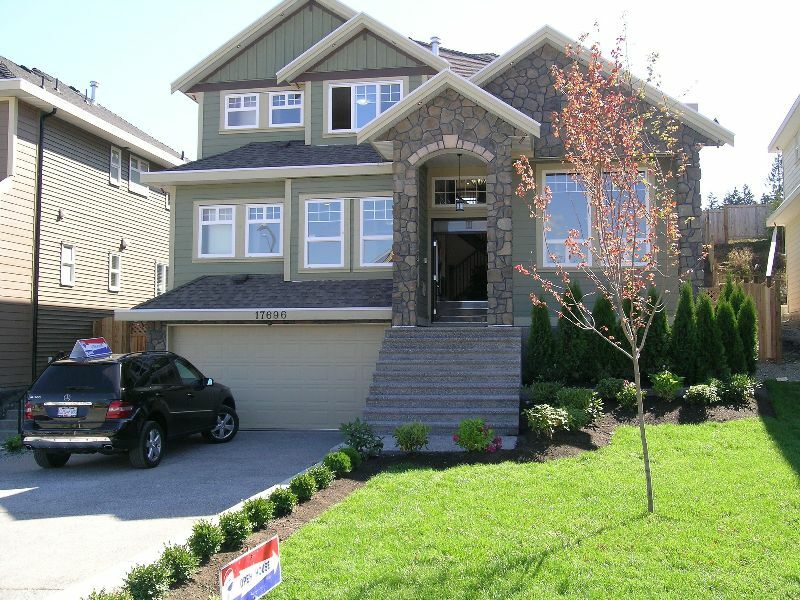 Upper level with 2 master bedrooms w/ensuites & 2 bedrooms. Bsmt fully finished w/wetbar for family friendly party entertainment centre for media room, 2 bedrooms & rec room with full bath. Open space of 425 sq.ft. plus Garage.